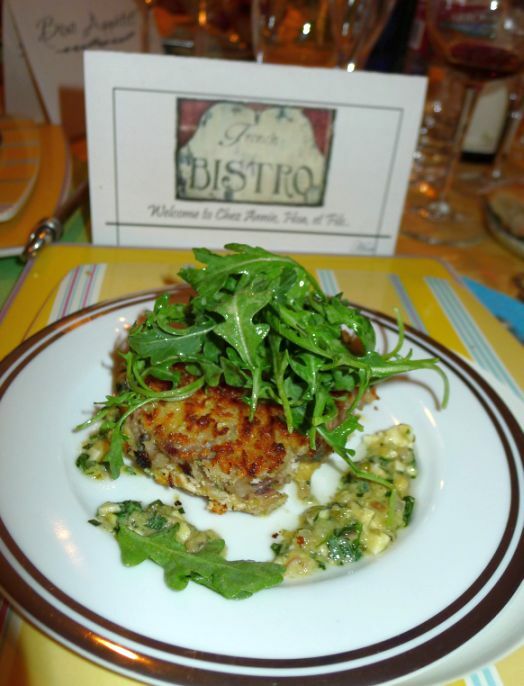 The pork trotters with Arugula and sauce gribiche was served at my French bistro dinner recently. 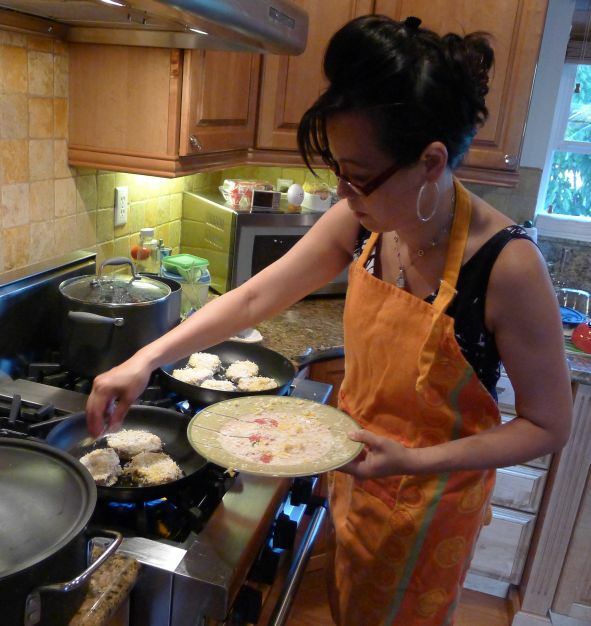 If you want to make this dish, plan at least a day a head or up to 5 days before serving. The trotters are cooked for about 2 hours or until the meat is tender and pulling away from the bone. 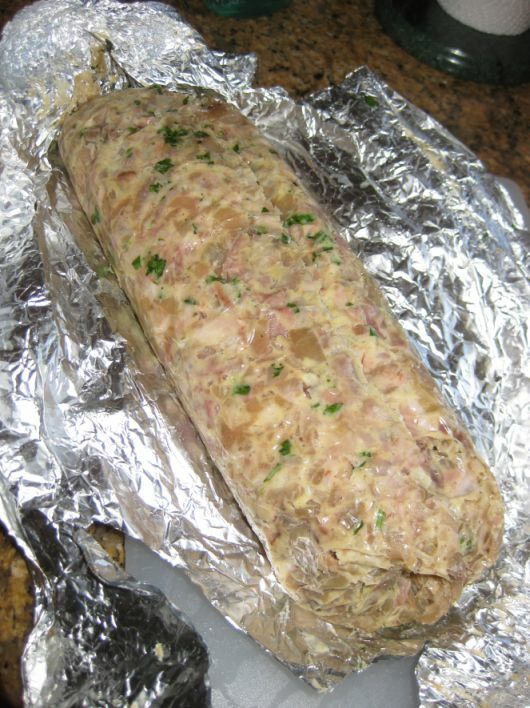 Next, the meat and skin are chopped and wrapped as a log in heavy foil and let to rest for the flavors to develop. 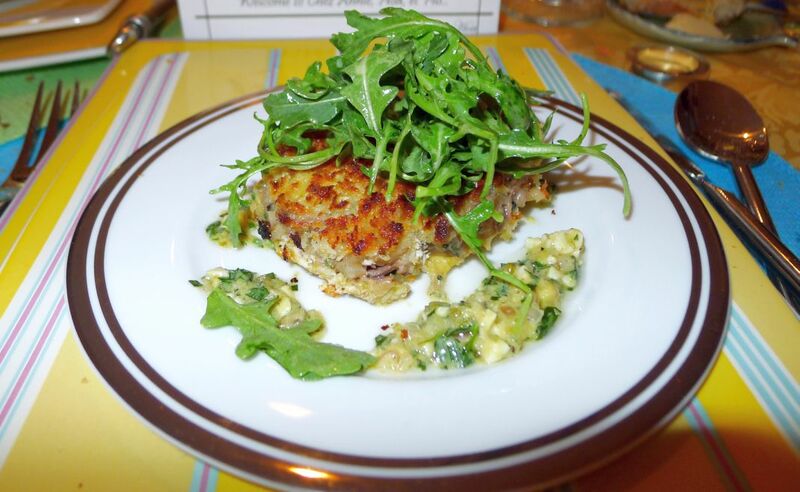 The trotters are served with a sauce gribiche and topped with arugula salad. 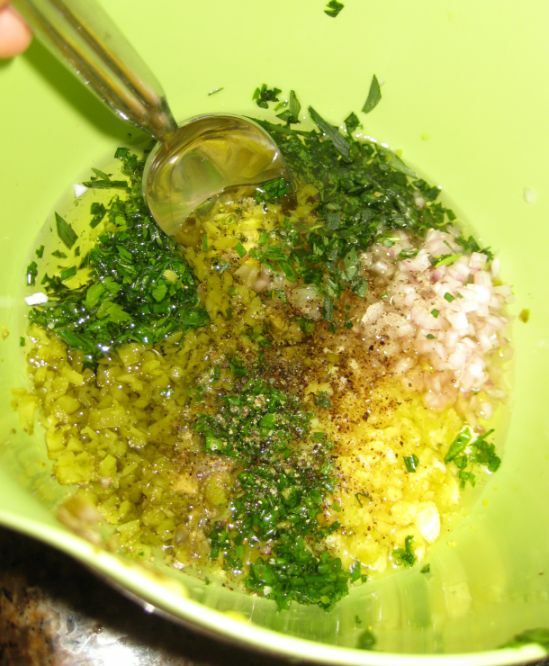 If you are not familiar with Sauce gribiche it is a vinaigrette-style made by emulsifying hard-boiled egg yolks and mustard with oil. 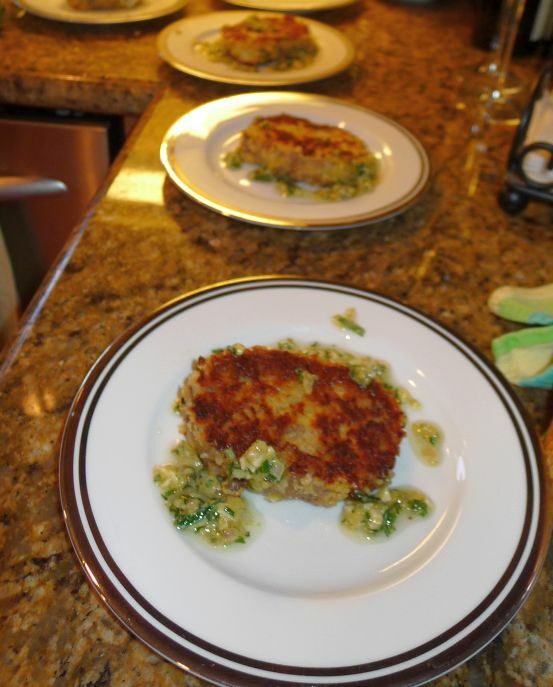 The sauce is finished with chopped pickled cucumbers, capers, parsley, chervil and tarragon and it is very flavorful. 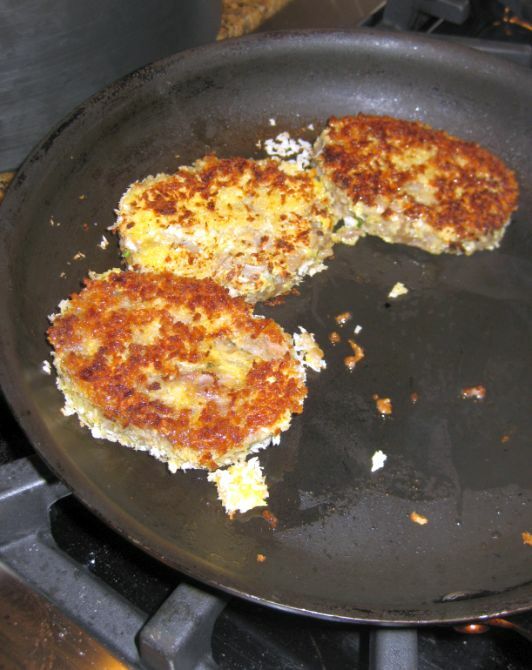 The trotters are coated with a layer of panko and then pan fried so the outside is crispy. The trotters are then served with arugula and drizzled with sauce gribiche. This dish is very rich and you don't want to eat it in large portions so the portion you see here if for two people. You can also serve the trotters cold with a slice of toasted bread and Dijon mustard or butter and they are fantastic too. 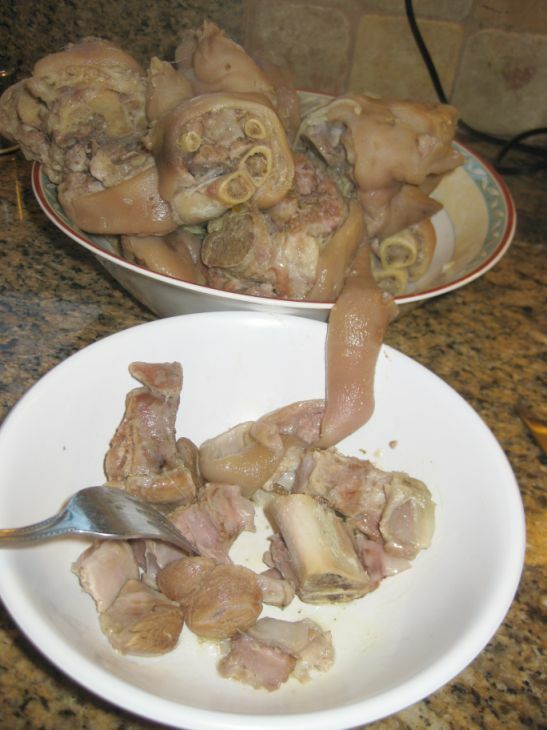 Fresh ham hocks are available at any Asian markets. Clean them cold water. 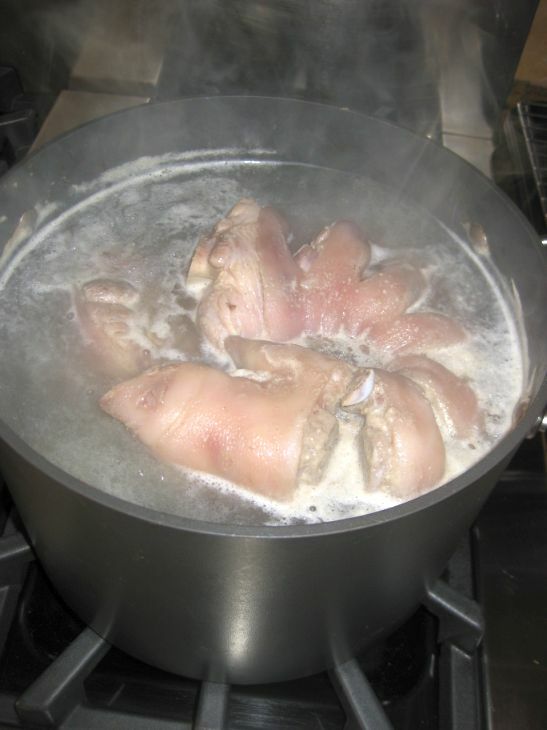 Place the ham hocks in a large pot filled with water. Bring the water to boil. Skim away the foam that rises to the top. 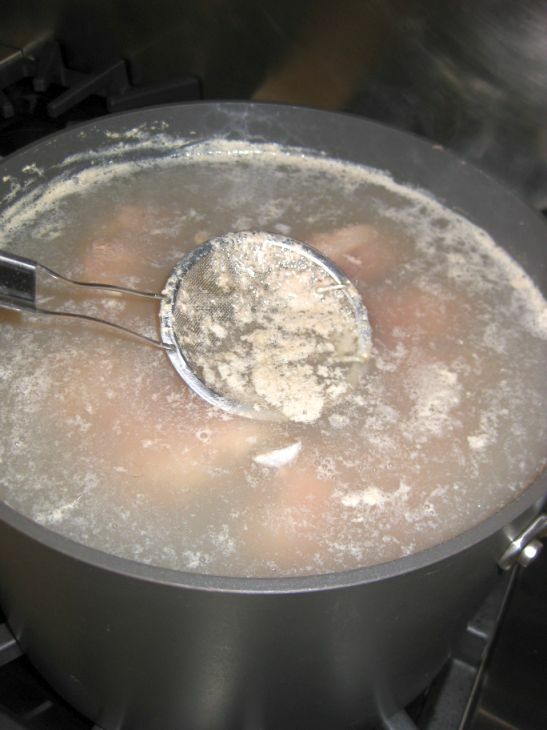 Reduce the heat to a simmer for about 3 to 5minutes or until you have skimmed away all the impurities. 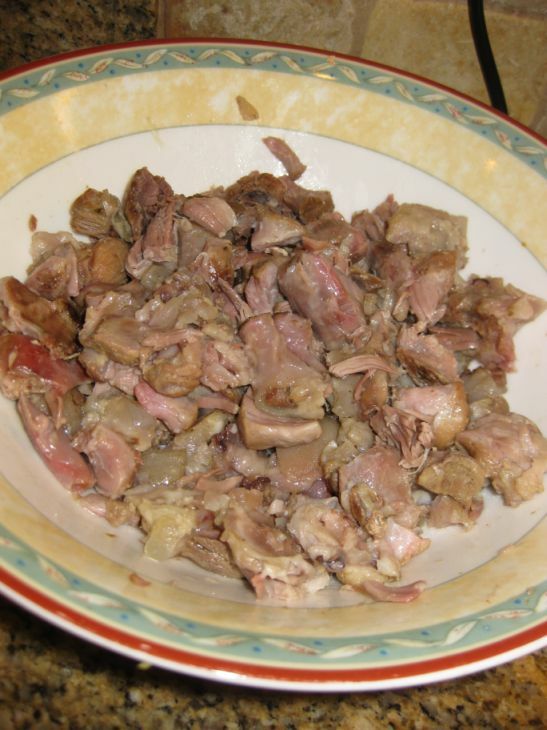 Remove the ham hock from the pots and discard the liquid. Rinse out the pot and fill it with fresh water and return it on the stove. Peel the onion and cut an X three quarters of the way trough the onion, starting at the top and leaving the root end intact. 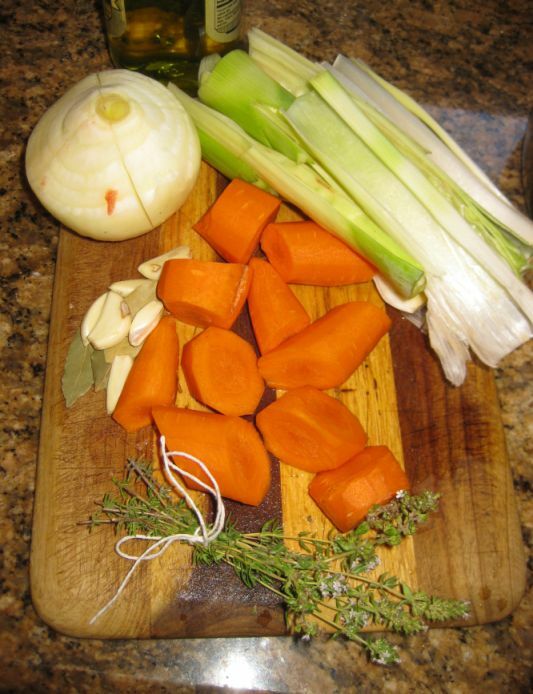 Cut the carrots, clean the leek (use only the white part) an tied the bunch of thyme with a kitchen twine and peel the garlic. 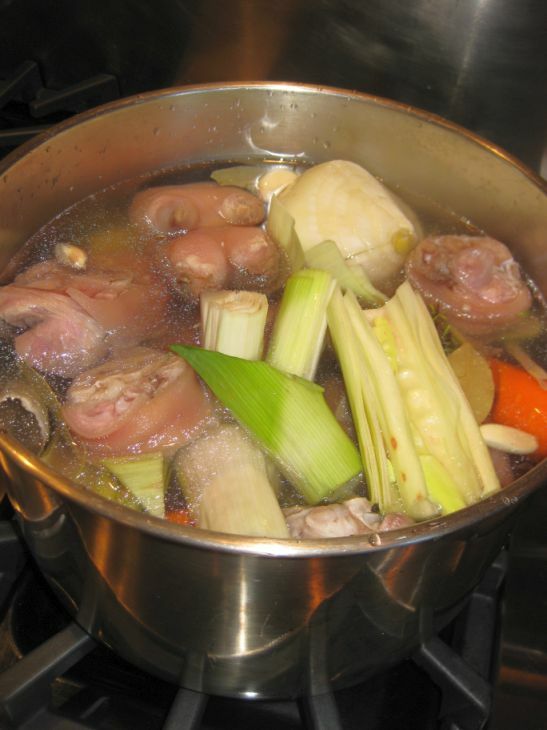 Put the ham hocks back in the pot and add the carrots, leek, onion, 1 tablespoon salt, bay leaves, peppercorns, thyme sprigs, and garlic and bring the water to a simmer. 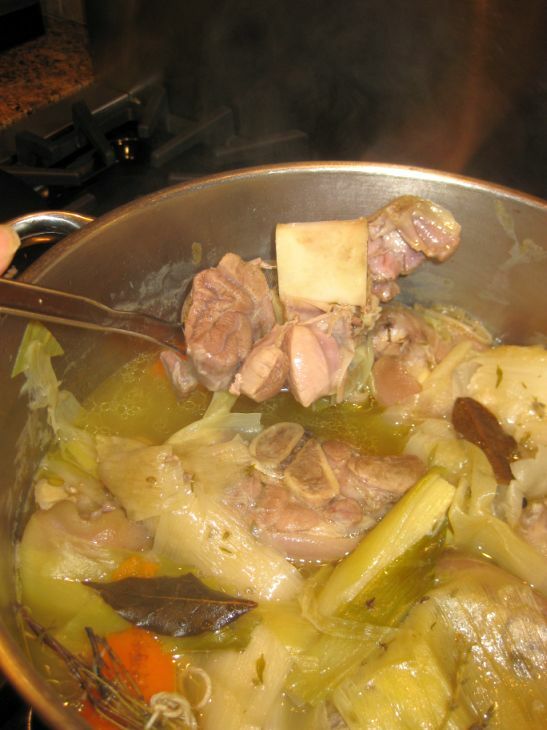 Cook gently, skimming often for about 2 hours or until the fat on the ham hocks is completely soften and the meat is tender and pulling away from the bone. 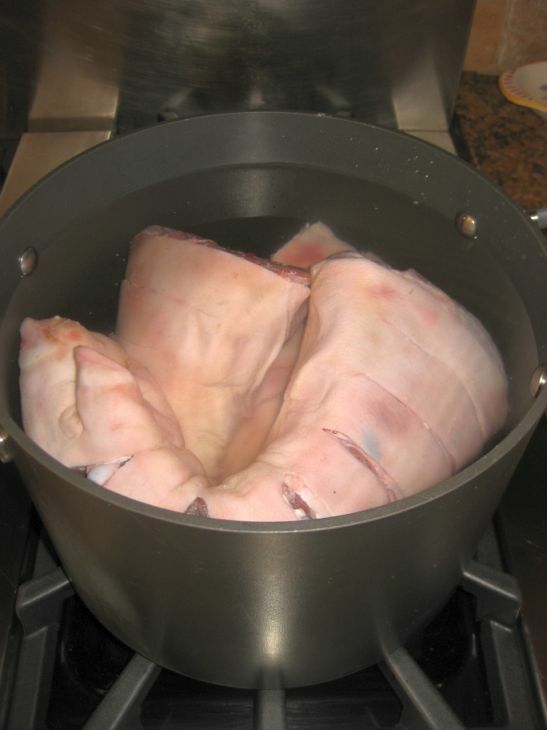 Remove the ham hocks from the pot and with the help of a fork separate the meat from the skin and fat. Discard the bones. 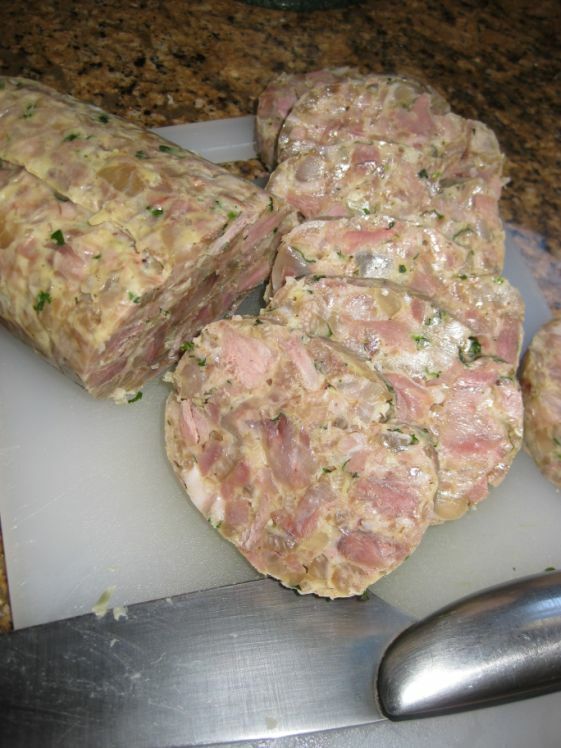 Weight the meat: you will need 1 pound for this recipe. Keep the meat in a large bowl and keep in a warm spot. Scrap the fat from the skin and discard the fat. Finely chop the skin and weigh it. You will need about 8 ounces (discard the remaining). 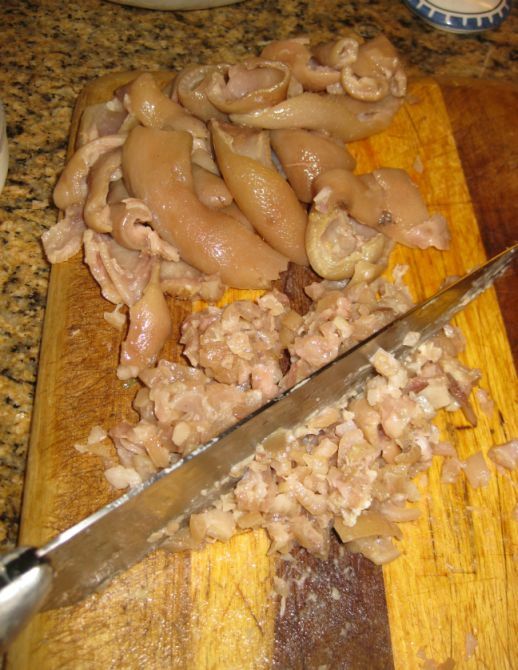 Put the meat and chopped skin together. 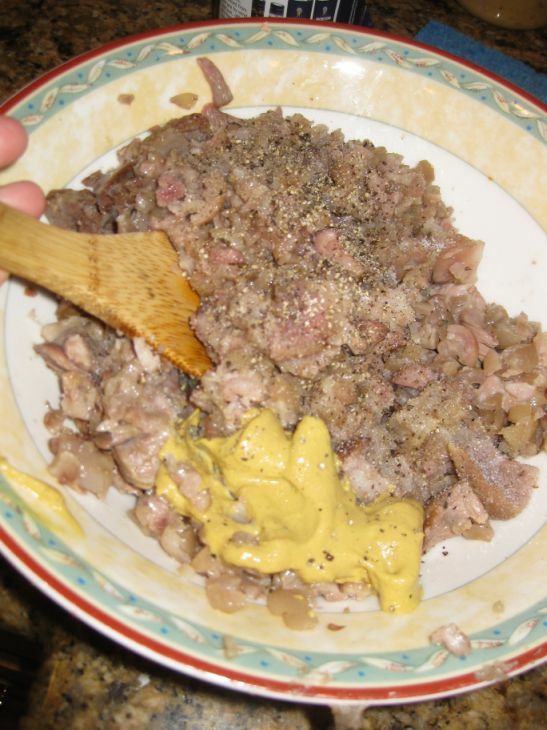 Add 2 tablespoons of mustard, 1 teaspoon of salt, and 1/2 teaspoon pepper or to taste. 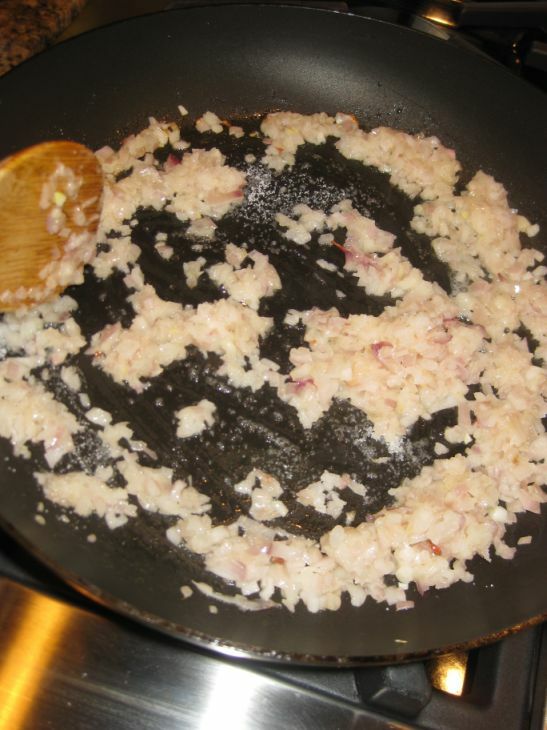 In a medium pan, melt the butter and add the chopped shallots. Cook for about 2 minutes to soften them. Stir in 1 teaspoon salt and remove from heat. Let it cool down a bit. Add the shallots. 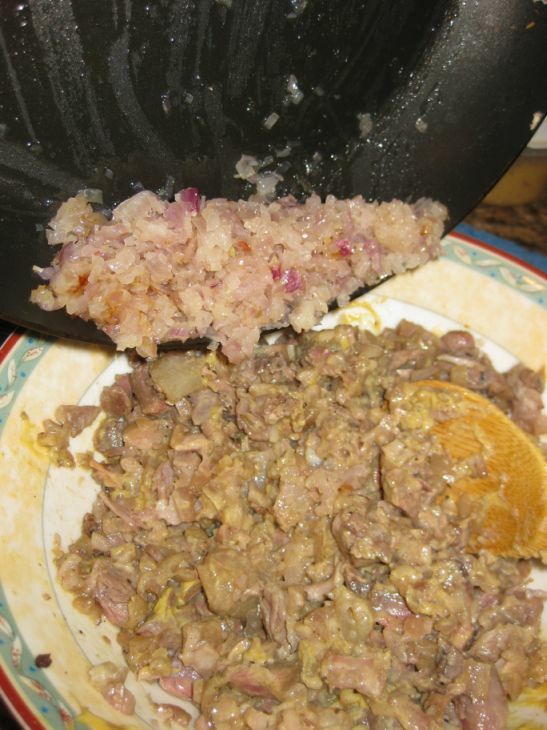 As you stir the meat will break apart and shred. Pull apart any large pieces that don't break up on their own. Add 1 teaspoon of the braising liquid to moisten the mixture slightly. Don't be tempted to add additional liquid or the meat may fall apart when it is heated. Stir in the minced thyme and parsley. Cut two large pieces of foil about 22 by 18 inches. Stack the foil on top of each other. 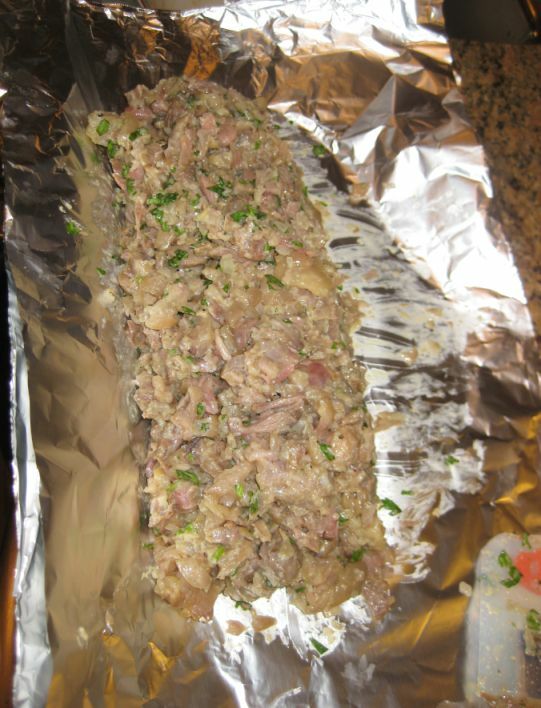 Spoon the pork mixture in a shape of a log. The log should be around 10 inches long, 4 inches wide, and 3 inches high. 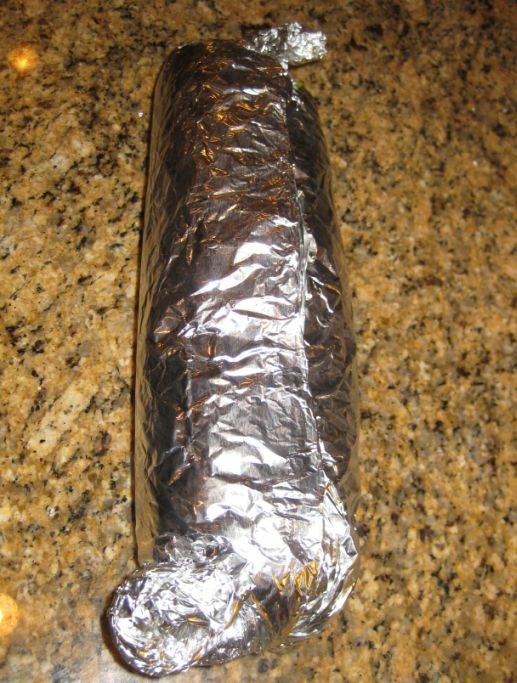 Wrap tightly the foil around the meat and squeeze and twist the ends to compress the meat into more or less a 10 inches log. Refrigerate the log overnight or for as long as 5 days. 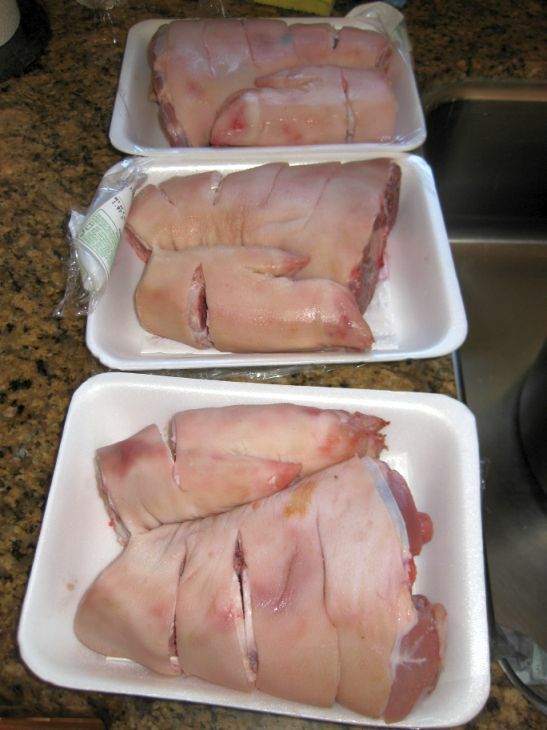 The next day of when you are ready to serve unwrap the pork log and trim the end to even them. Cut the log into 1 inch thick and set aside until ready to serve. In the mean time make the sauce gribiche. Put all the ingredients together and mix well. Let it rest for a few hours for the flavors to develops. If not using right away refrigerate and bring back to room temperature when ready to serve. Dip each trotters with flower and then spread a very thin layer of Dijon mustard over the flour on both side. Dip into the panko to coat. Heat a pan over medium heat. When the oil is hot carefully add the trotters and brown about a few minutes per side. 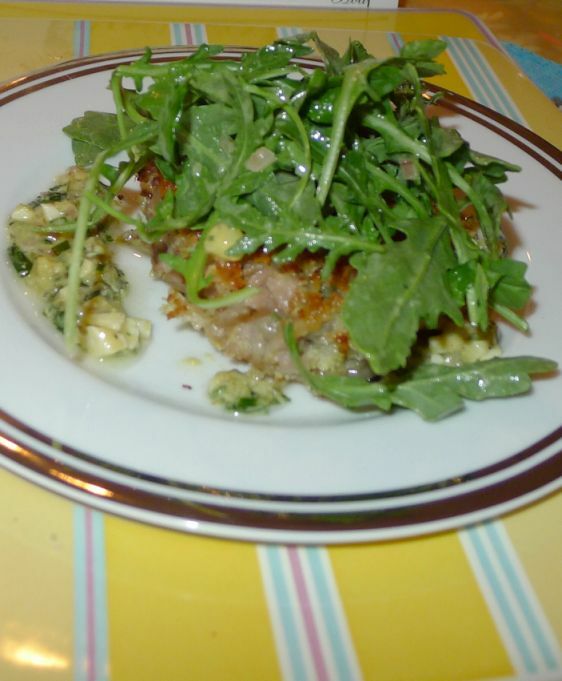 Put the trotters on a plate, drizzle some gribiche sauce around it and top with a bit or arugula salad.